A Self-Hate Sermon By Tbo Touch? 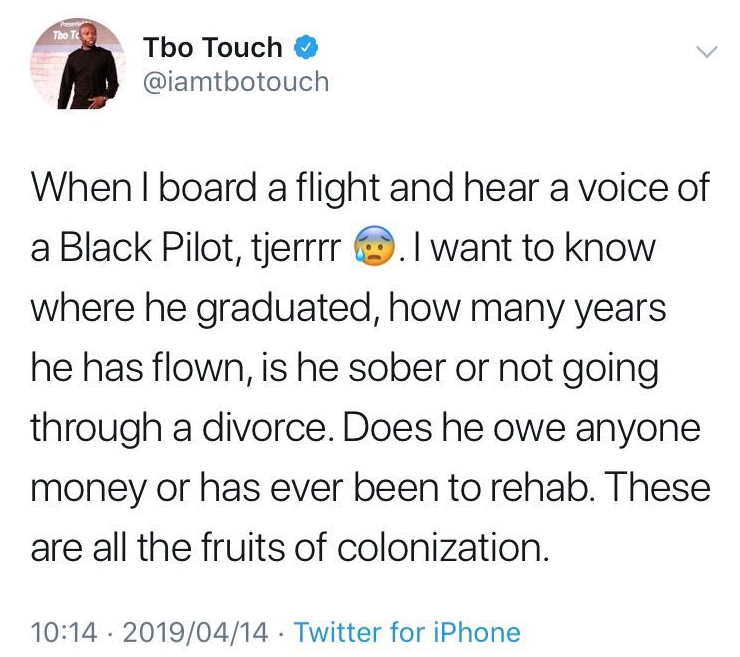 Tbo Touch was trending this past weekend, this time for a series of tweets he posted earlier on Sunday. His thread was centered around what he calls the 'fruits of colonization' and self-hate in the black community. However, one particular tweet in the thread left a sour taste in many people's mouths. The tweet was later removed.